Is it summer yet? It seems like it's been forever, but with the announcement of the 2015 Summer tour it can't be that far off! Trying to stay informed during the DMB hiatus is more challenging than in the high swing of touring but not impossible. So where have they been? And where are the going? Who knows? Most members of DMB are on Twitter and promote their projects regularly. If your"follow" your favorite member, or all of them, you too can be " in the loop". For example, while watching the Stevie Wonder Tribute Special last week, Rashawn Ross was spotted, tooting his horn, literally! He was able to play with many artists that evening and it was a surprise to see him. He has been making guest appearances throughout the past few months. He even helped out during Usher's tour. Jeff Coffin recently was in Nashville and has been to many workshops, music colleges, and he left some comical notes on his account as he watched the Grammys. Stefan Lessard is an accomplished photographer and his work is posted regularly on his Twitter account. He shares his work often and it is worth a "look-see". Boyd Tinsley posts with his fans, referring to them by name which is pretty cool. He has been talking about the European tour and how much he is looking forward to it. TR3 featuring Tim Reynolds has been on the road. He has been in Nashville, Ohio and New York ! He is keeping those fingers loose. Nothing has been available on what has been going on with Carter Beauford... Resting up this precious hands, hopefully! And Dave? Well, he had quite the high profile during Super bowl week. 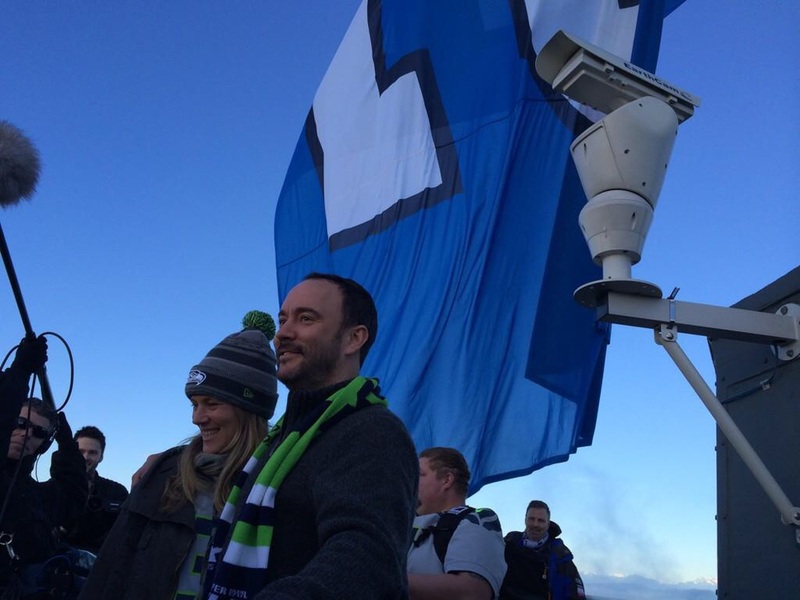 He was given the honor of raising the 12th man flag in Seattle. Pictures and clips are available le on Google. Dave has a movie project that he has been working on, as well. The film entitled Angels, is being anticipated by all and is being directed by Meg Tilly. With summer approaching ( it is, we promise! ) 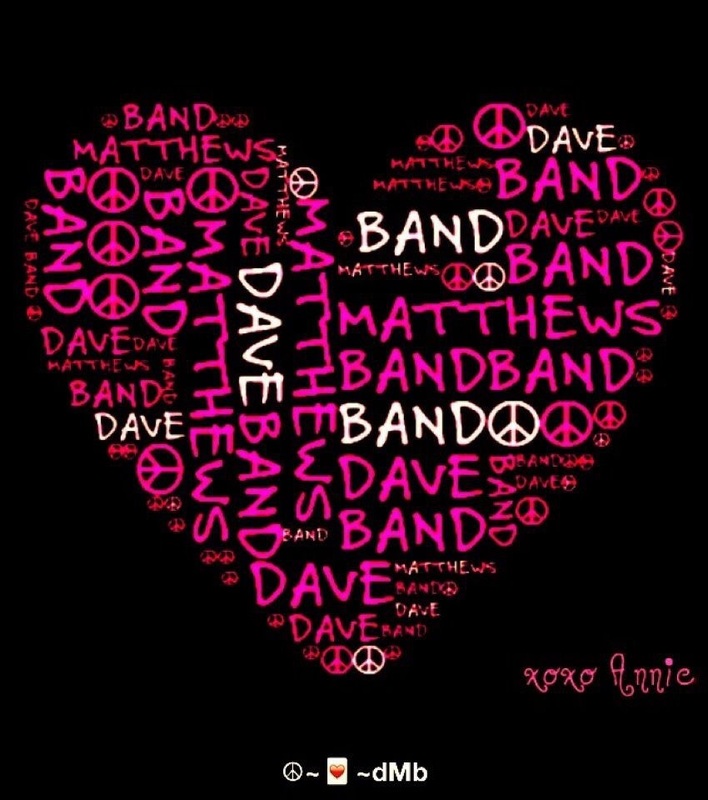 more DMB news will be coming. In the meantime, keep listening, keep checking in here at DBTP and keep warm! The 2015 Summer Tour will be here before we know it! Can't wait!